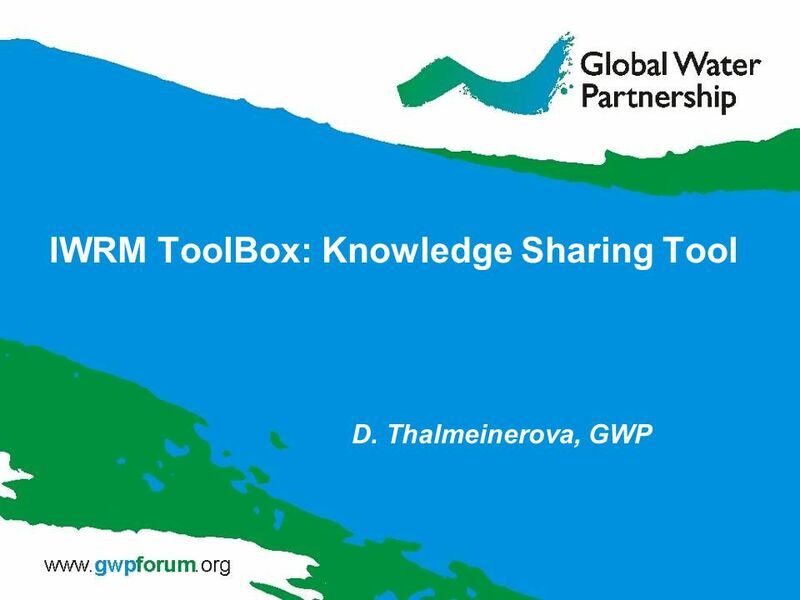 IWRM ToolBox: Knowledge Sharing Tool D. Thalmeinerova, GWP. 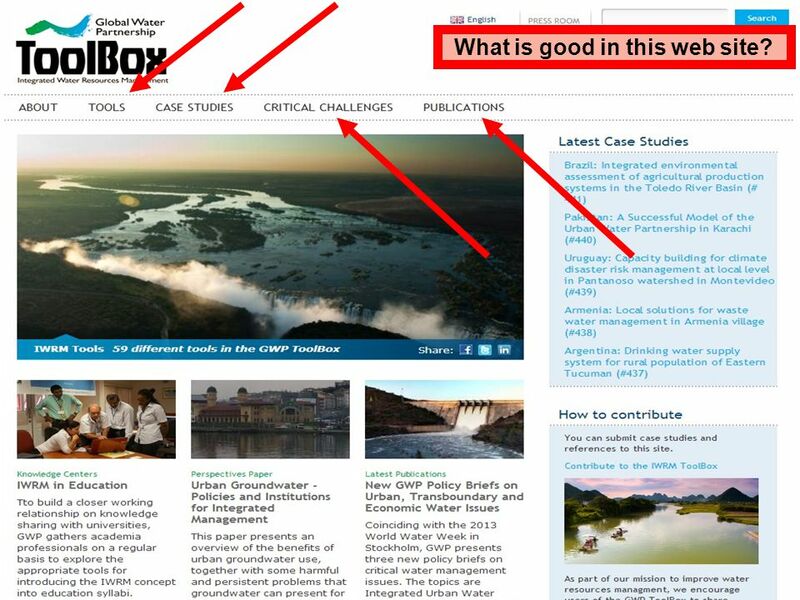 4 4 What is good in this web site? 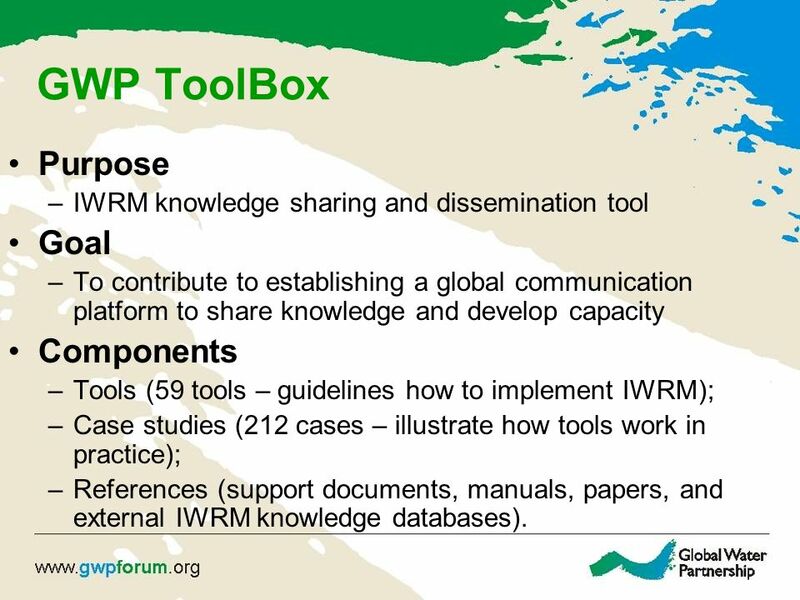 5 GWP ToolBox Purpose –IWRM knowledge sharing and dissemination tool Goal –To contribute to establishing a global communication platform to share knowledge and develop capacity Components –Tools (59 tools – guidelines how to implement IWRM); –Case studies (212 cases – illustrate how tools work in practice); –References (support documents, manuals, papers, and external IWRM knowledge databases). 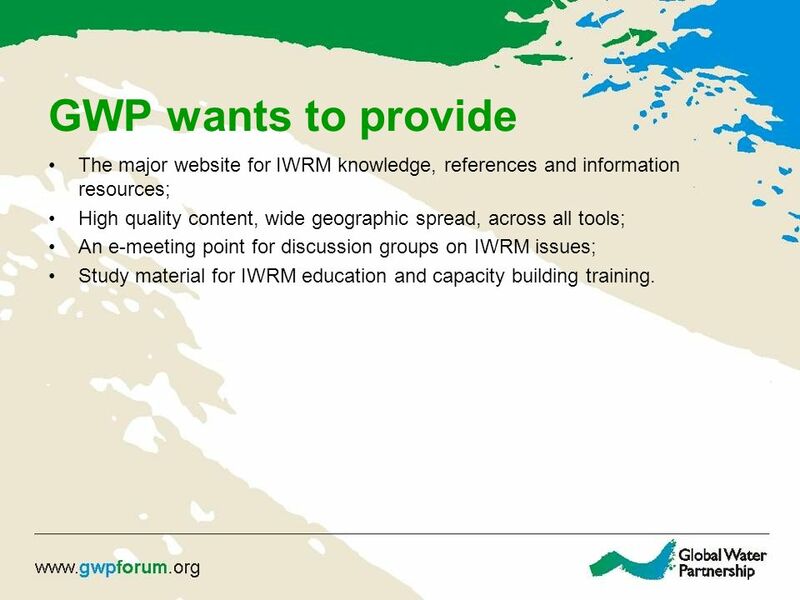 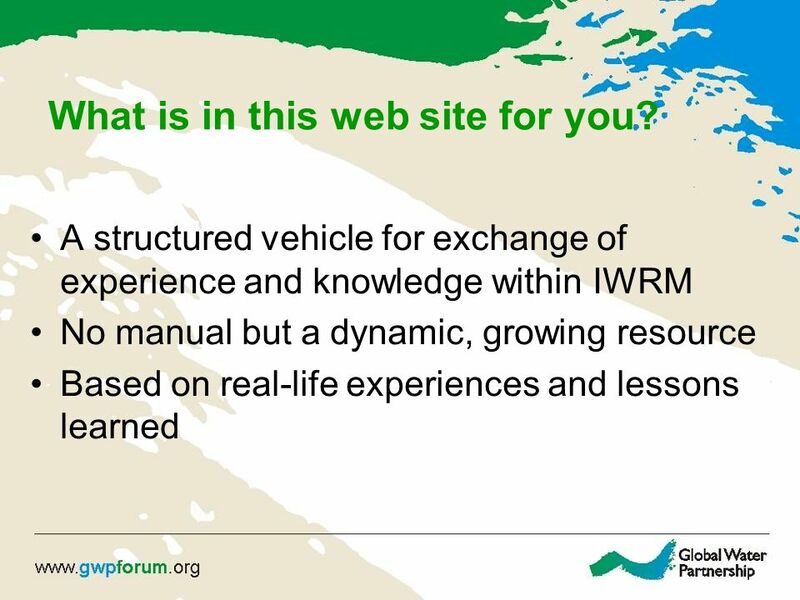 34 GWP wants to provide The major website for IWRM knowledge, references and information resources; High quality content, wide geographic spread, across all tools; An e-meeting point for discussion groups on IWRM issues; Study material for IWRM education and capacity building training. 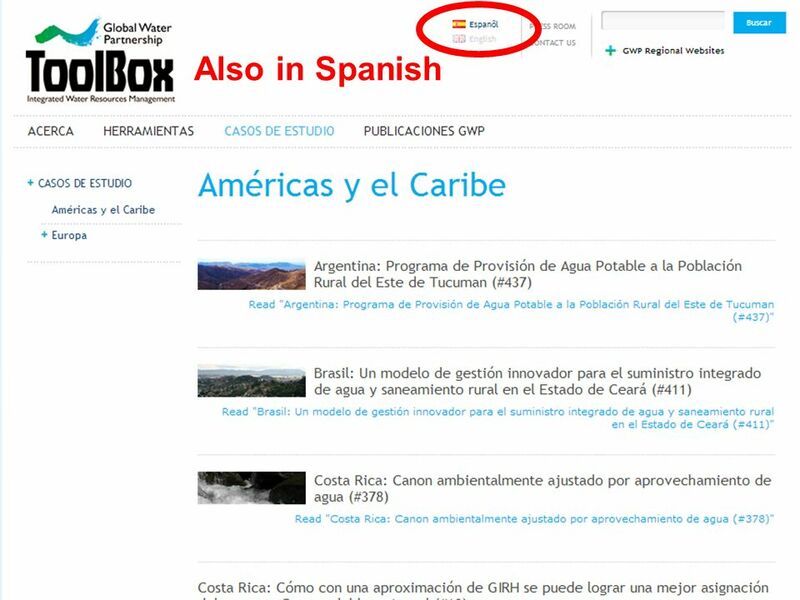 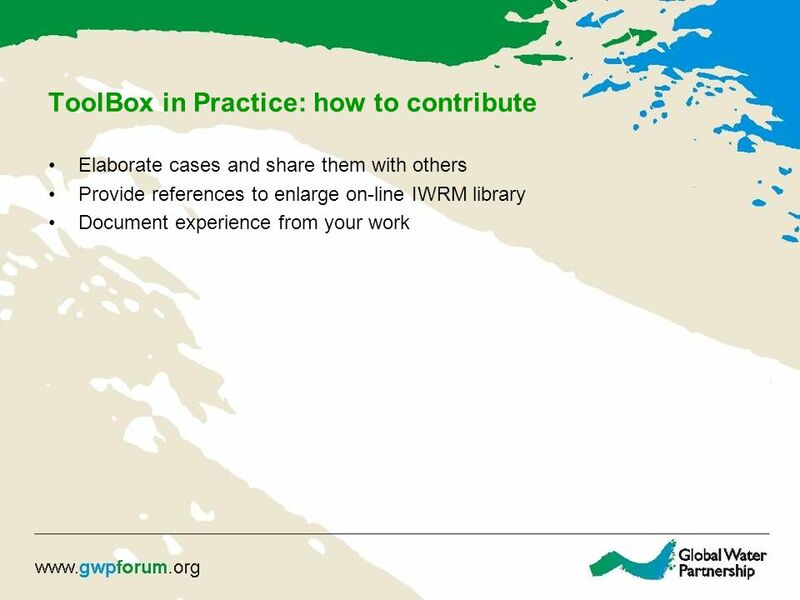 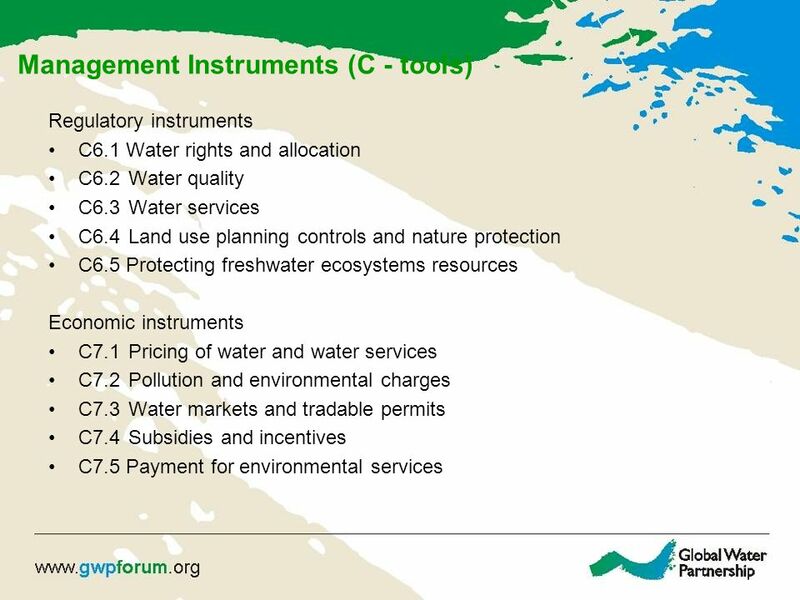 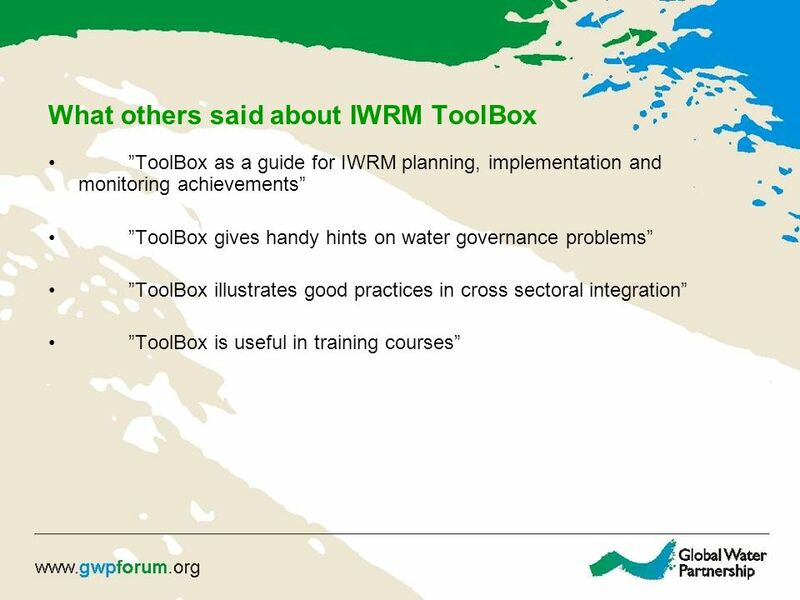 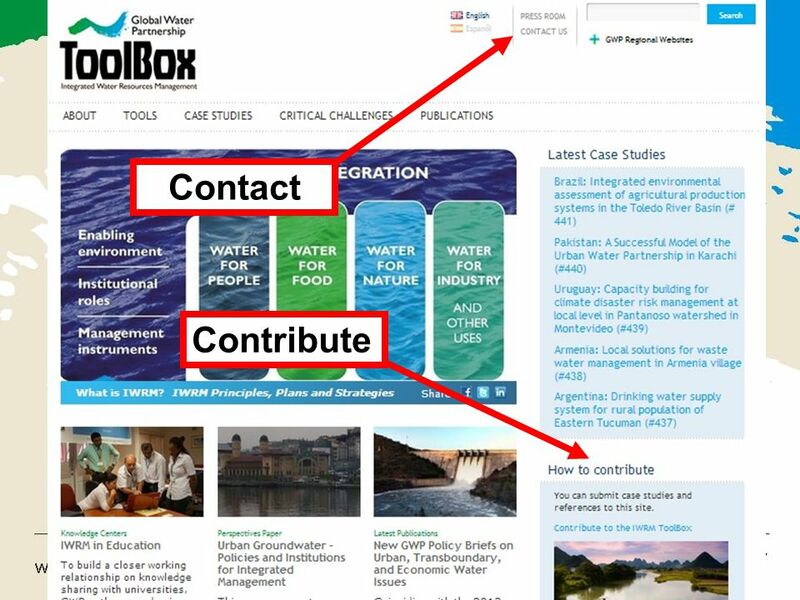 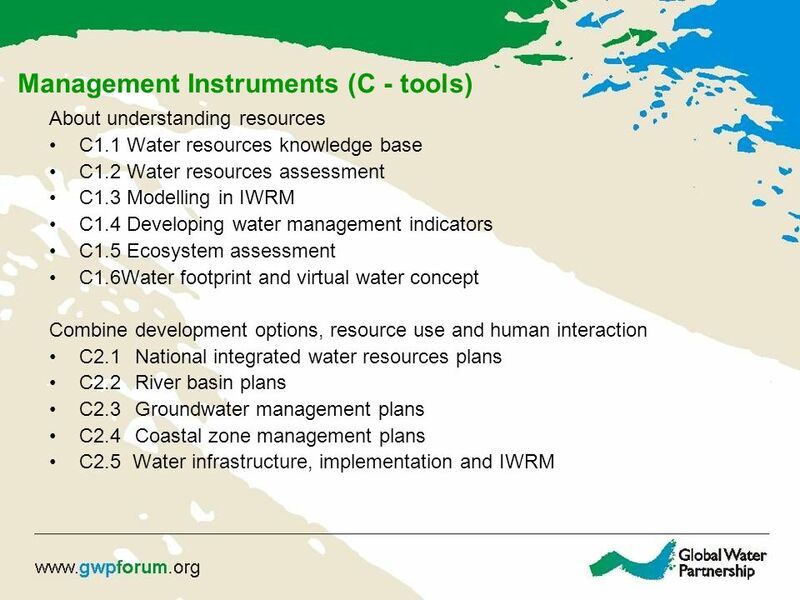 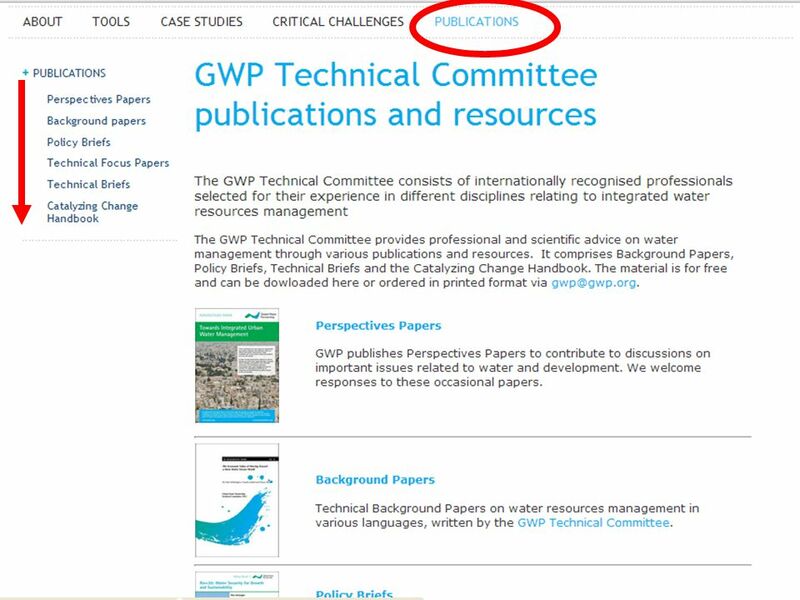 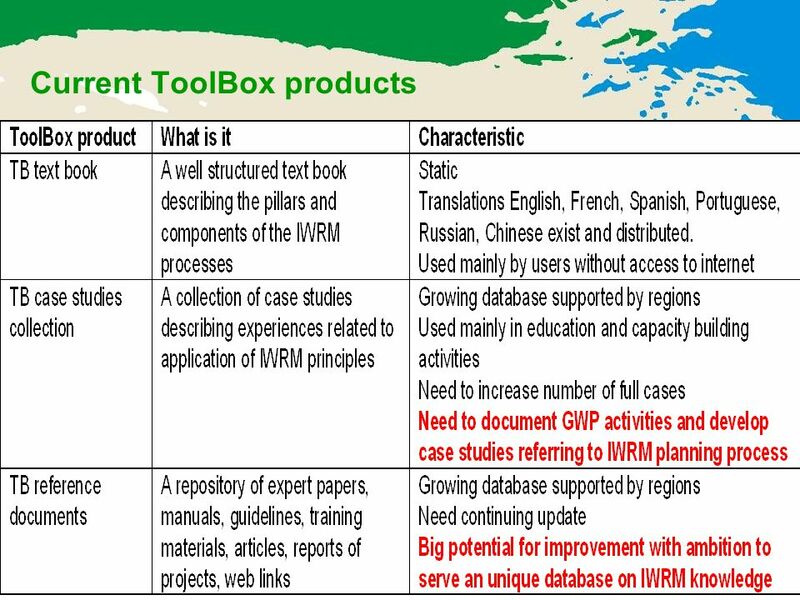 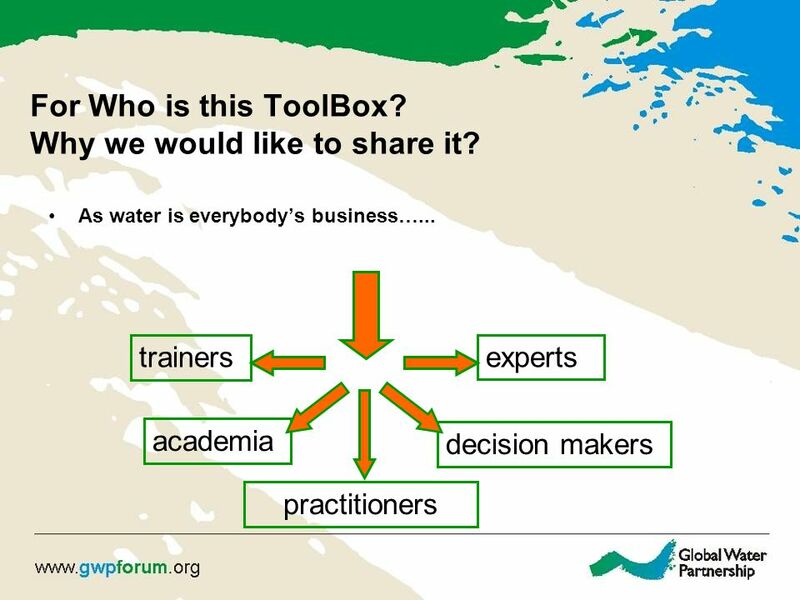 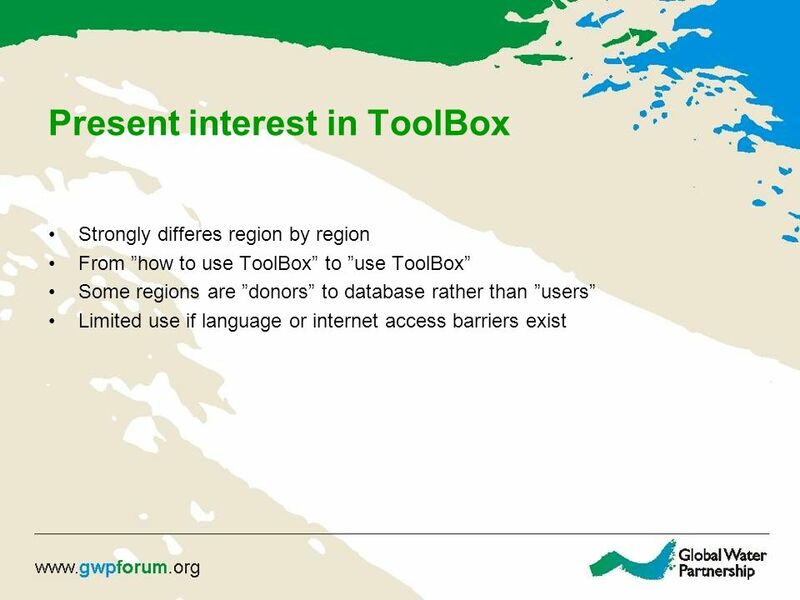 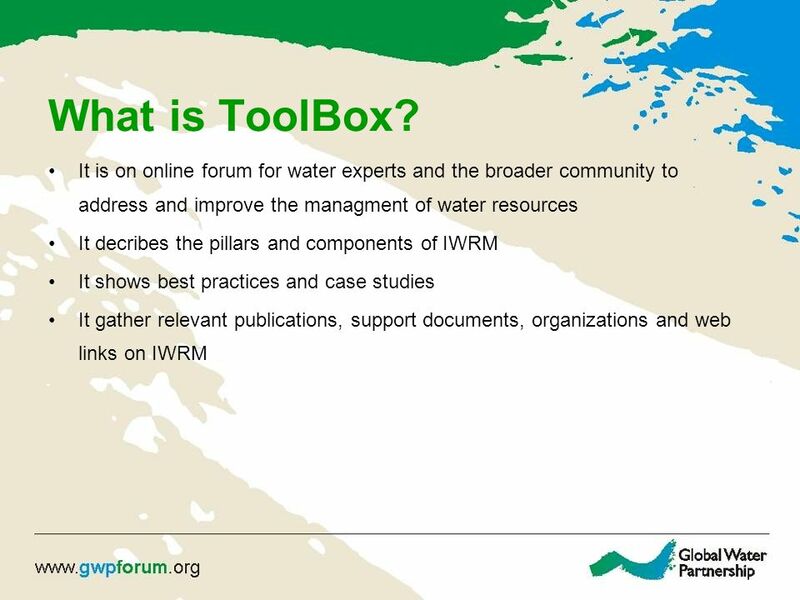 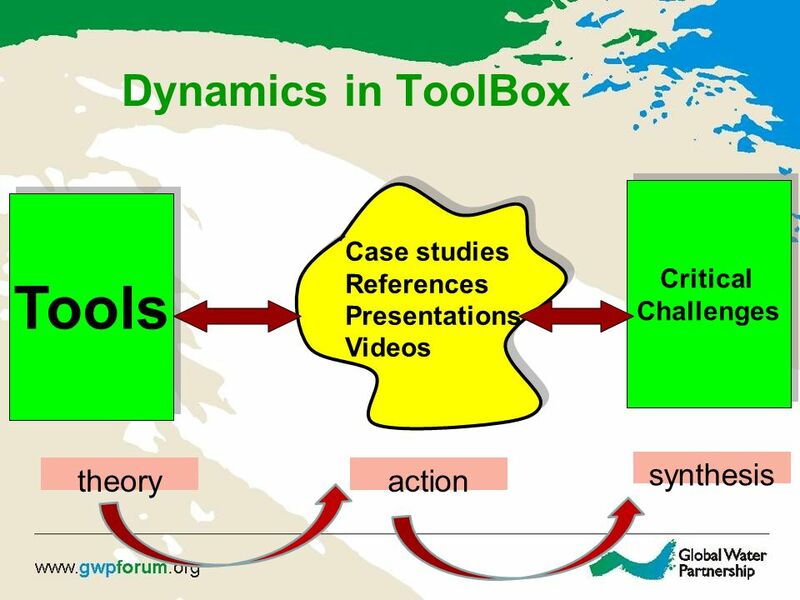 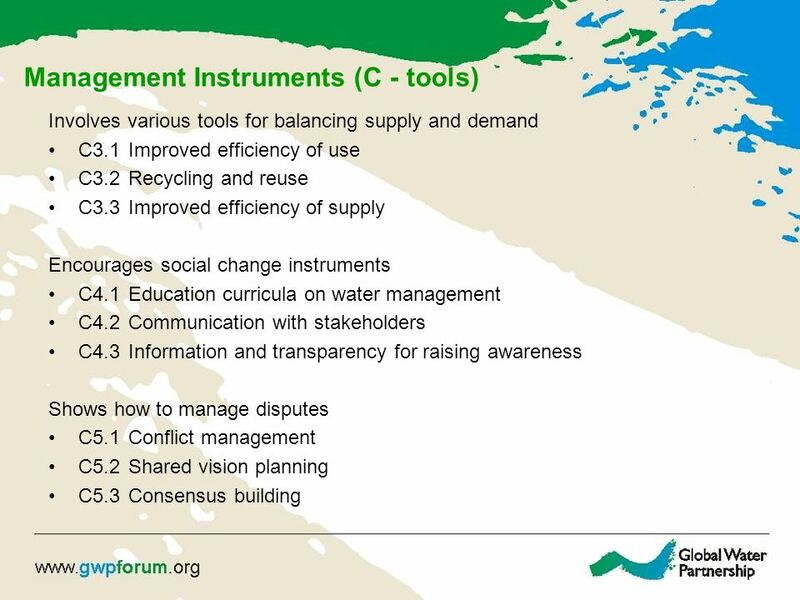 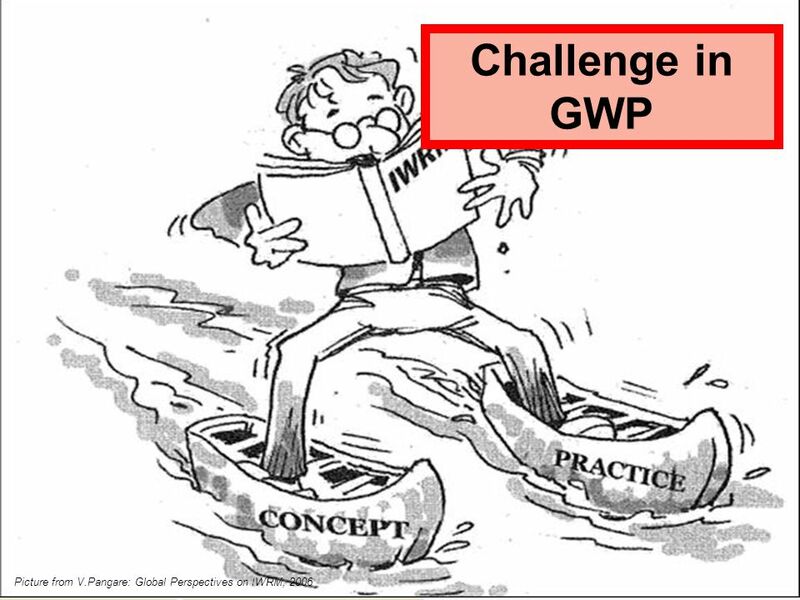 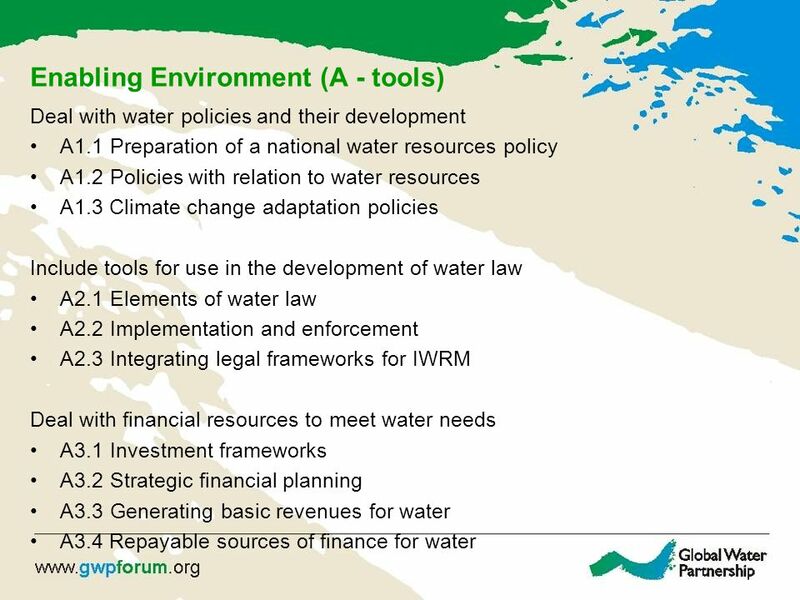 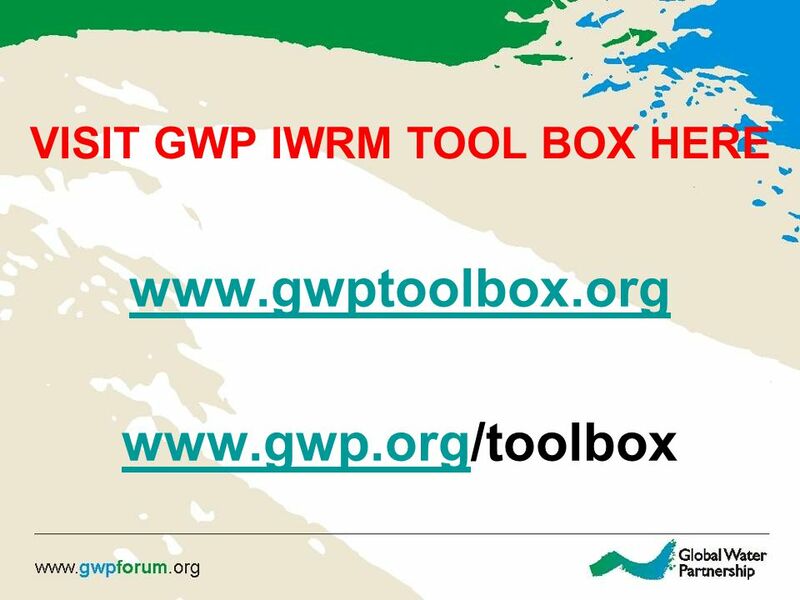 Download ppt "IWRM ToolBox: Knowledge Sharing Tool D. Thalmeinerova, GWP." The Nexus Dialogue on Water Infrastructure Solutions A global dialogue platform for best practices and optimisation of multi-purpose water infrastructure. 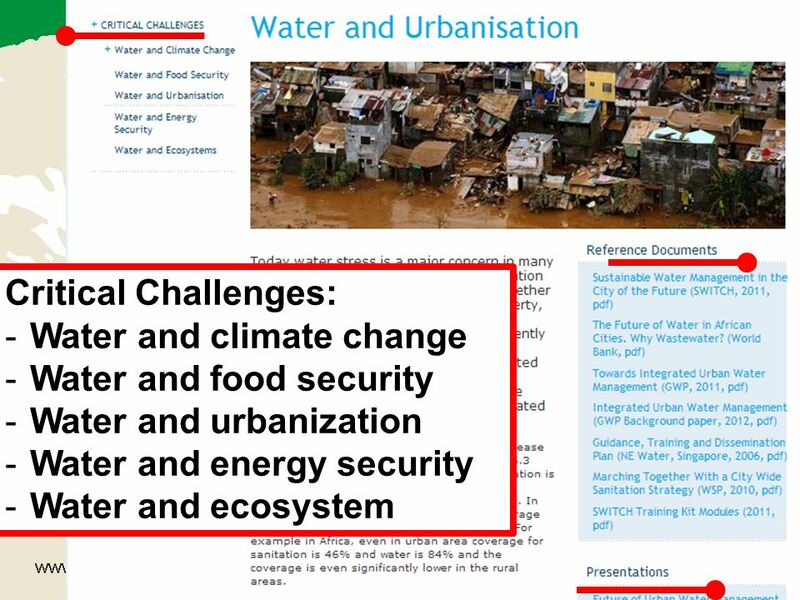 Water cooperation is key to poverty reduction, social equity and gender equality One challenge: “business as usual” is counter-productive to reducing poverty. 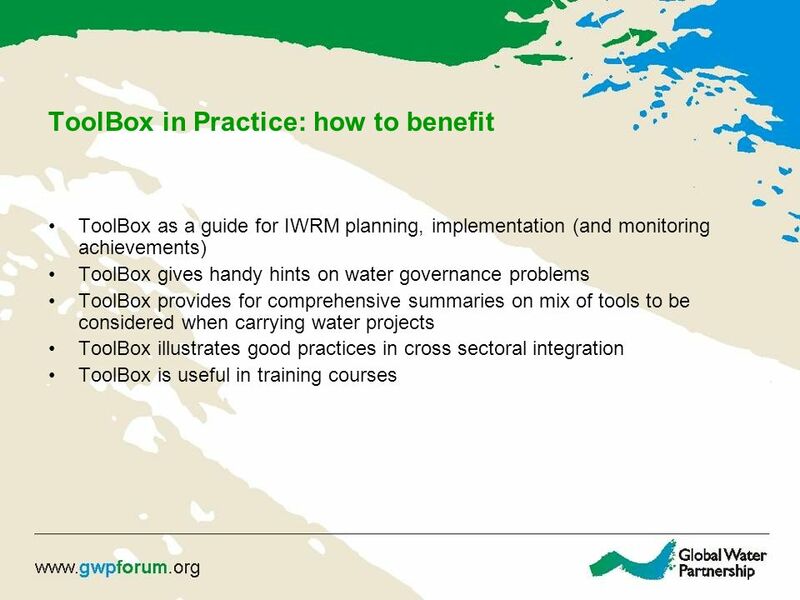 2013 Progress Review : progress during 2013 and delivering the Strategy Preliminary conclusions and challenges Steering Committee Meeting Dakar, Senegal. 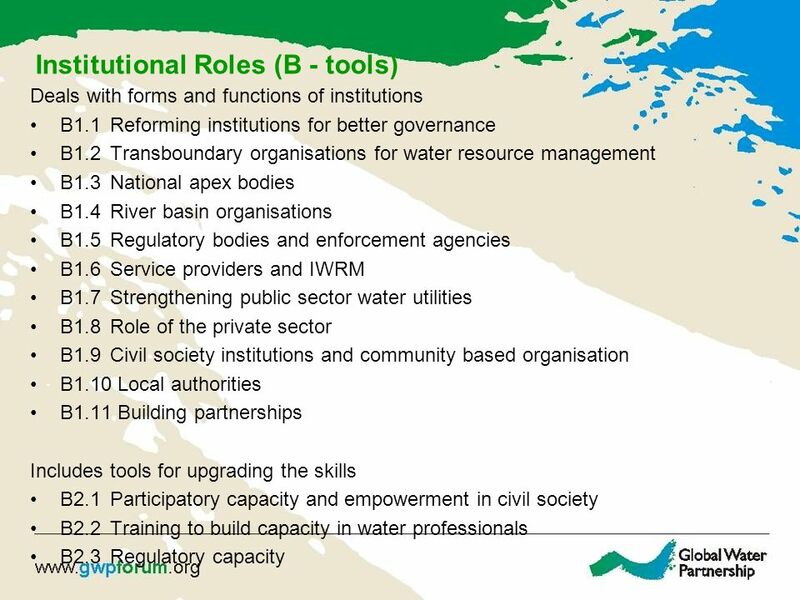 GEO SB-01 Oceans and Society: Blue Planet An Integrating Oceans Task of GEO GEO-IX Plenary November 2012 Foz do Iguaçu, Brazil on behalf of the Blue. 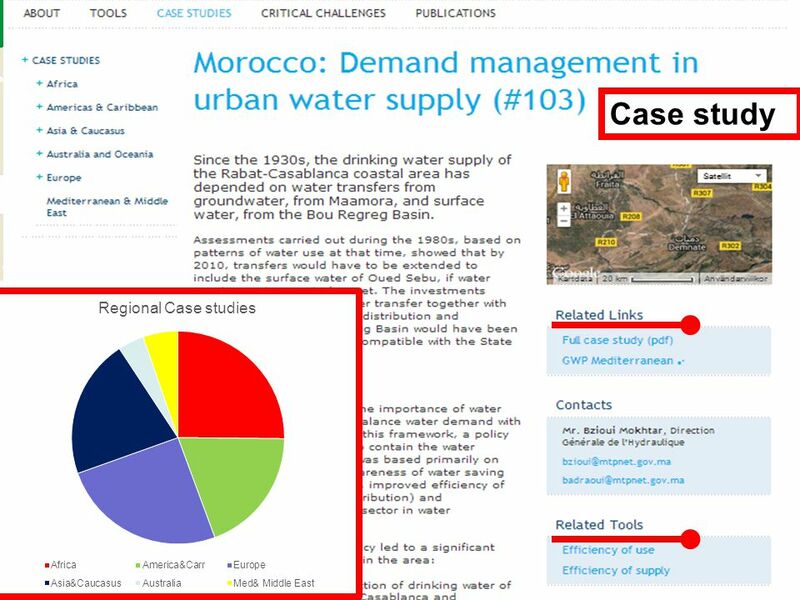 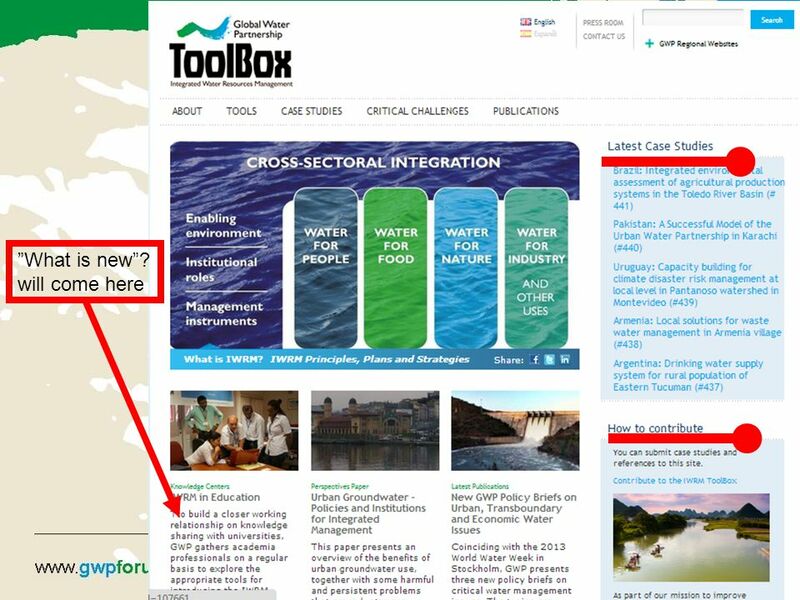 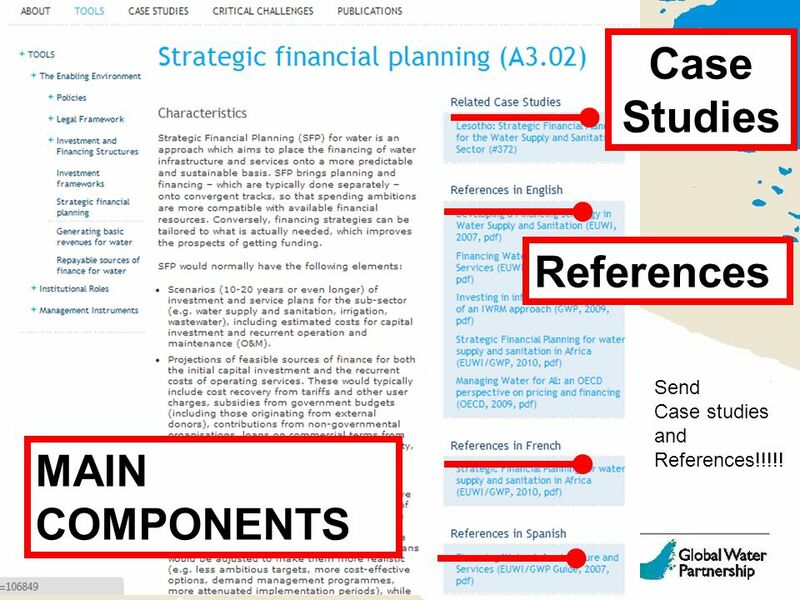 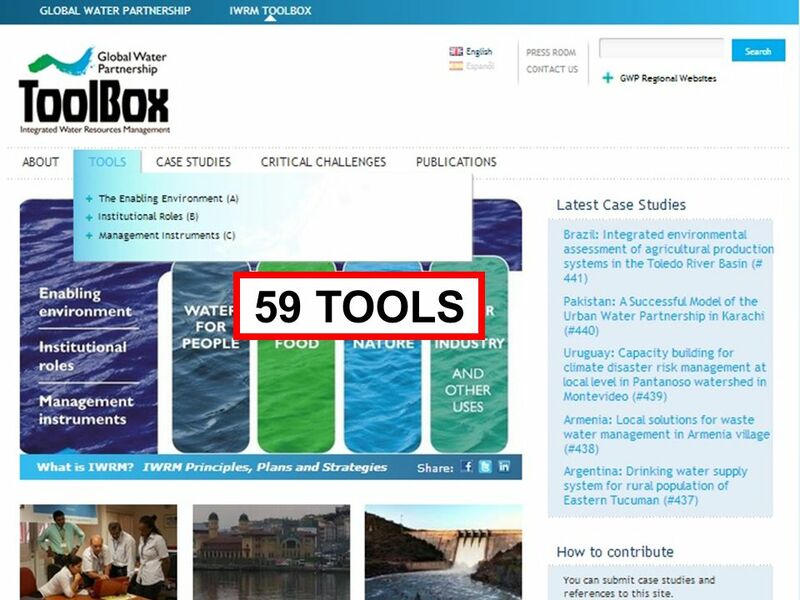 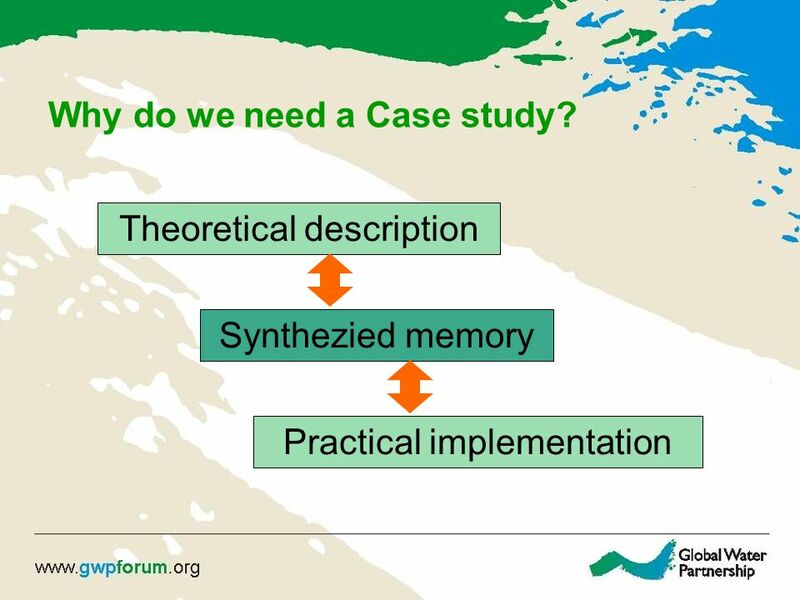 Case study in the ToolBox Dana Thalmeinerova, GWP. 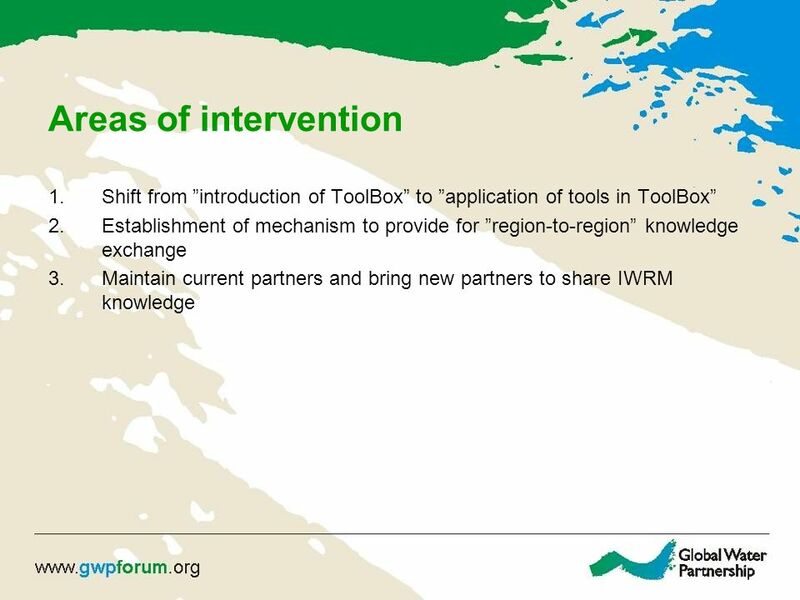 Lessons and regional linkages through the Tool Box in other GWP regions D. Thalmeinerova, GWP. 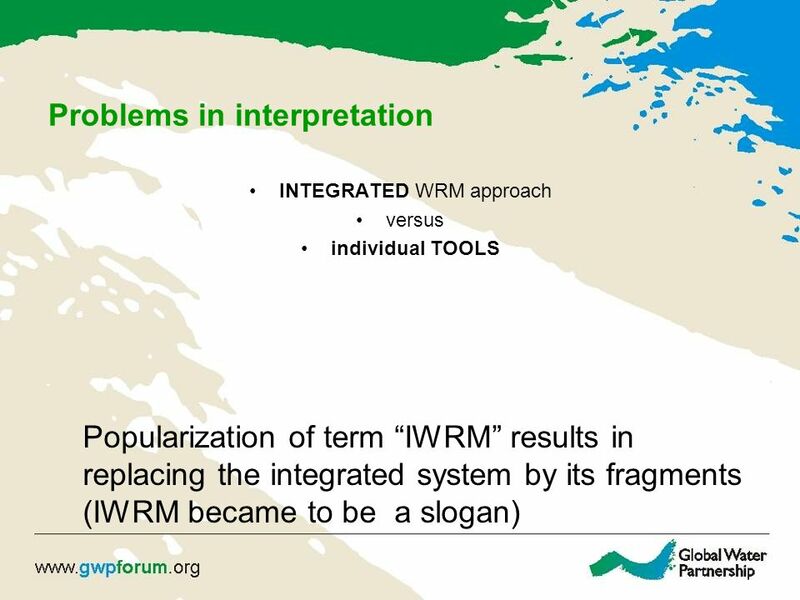 Integrated Flood Management : the way to Harmonious coexistence with floods Avinash C Tyagi World Meteorological Organisation Geneve, Switzerland A contribution. 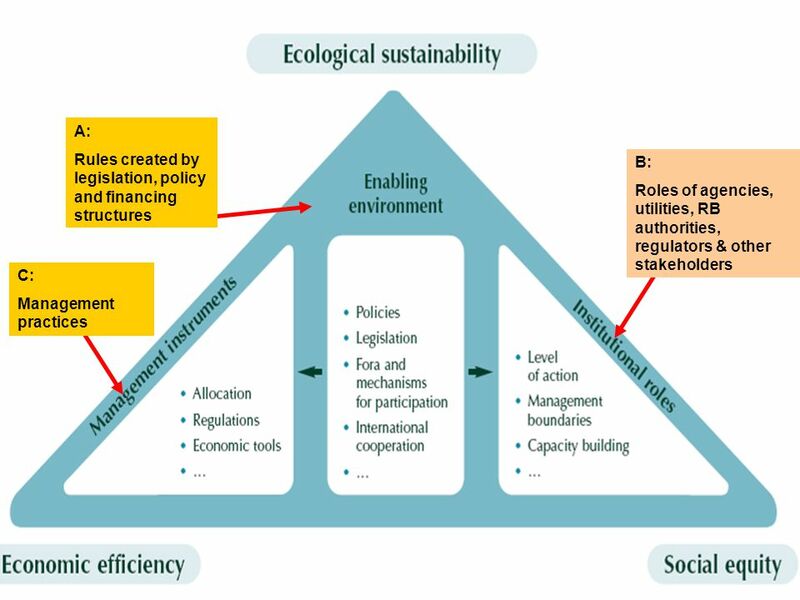 Capacity Enhancement for Air Quality Management John E. Hay Senior Advisor UNEP ROAP & IETC. 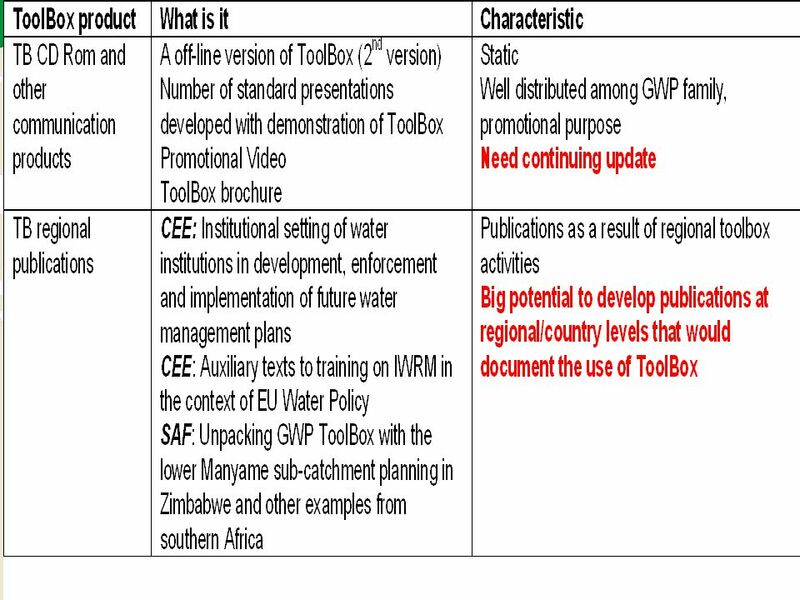 “The Nile Basin Initiative" (NBI) Meraji O. Y. Msuya Executive Director, NBI Secretariat Freshwater Basin Management: Experiences and Lessons Learnt. 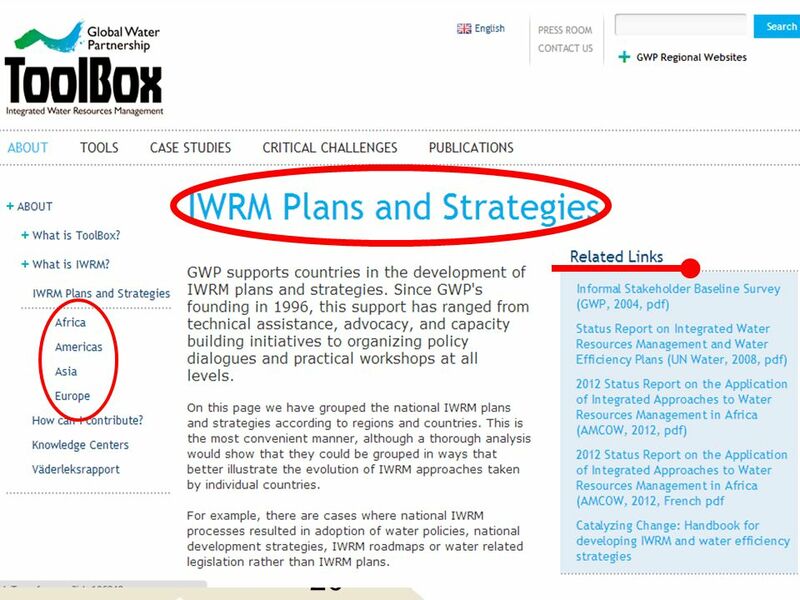 IWRM in EECCA countries Palle Lindgaard Jørgensen Technical Secretariat Helsinki, May 2007. 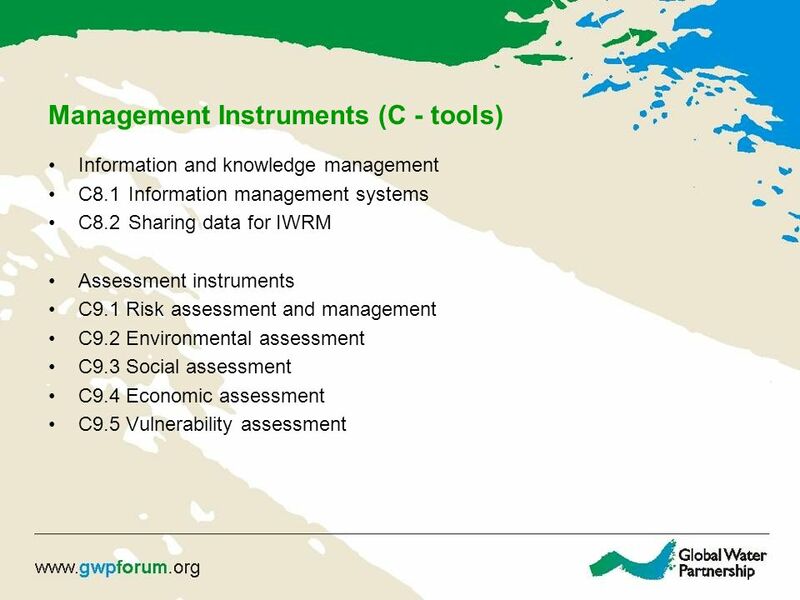 Training Resource Manual on Integrated Assessment Session UNEP-UNCTAD CBTF Policy Responses and Follow-up Session 4.